The AASE (Achieving Academic and Sporting Excellence) programme was set up to provide 11 to 18-year-olds with the chance to excel in rugby as well as the classroom. There are 15 AASE programmes across the country (run predominantly by Premiership clubs) that form the highly competitive AASE league. 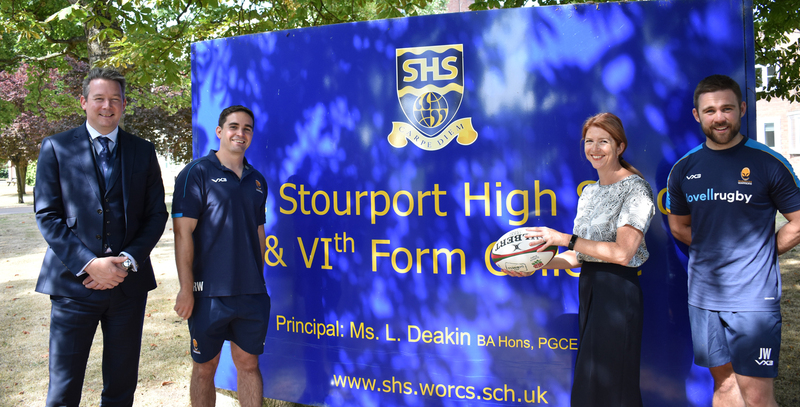 The Warriors AASE programme is run through a partnership between Worcester Warriors and Stourport High School & VIth Form College. The programme is there to provide a transition from schoolboy rugby into professional rugby and the AASE league provides a real challenge to any promising talent. Stourport High School & VIth Form College provides students with an opportunity to take either A Levels or BTECs in a variety of courses, with the large majority of students going onto higher education and many onto competitive courses at top universities. For more information on Stourport High School & VIth Form College click here. How are students selected for the programme? Boys are selected through a variety of ways, including scouting, trials, nomination and application. Acceptance is based on the candidate displaying the potential to play at an elite level and this is then followed by an interview with Stourport High School & VIth Form College. What happens after the AASE? The AASE programme has witnessed many success stories over the past few years, with many graduates going into the full-time professional academy and then the first-team. The majority of boys who don’t sign professional contracts go on to higher education, many of which attend top universities. Please contact Warriors AASE Manager, Ryan Watkins on ryan.watkins@warriors.co.uk.